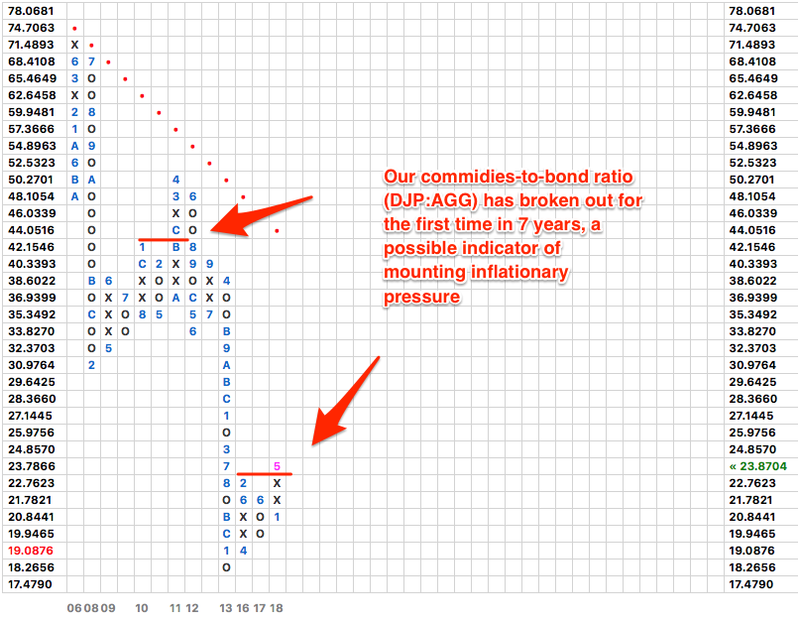 DJP – our proxy for the broad commodity complex – has broken out relative to AGG – our US bond proxy – for the first time since December of 2010. A rising commodity-to-bond price ratio is inflationary and often precedes or coincides with higher interest rates. Higher rates in turn are usually a negative for stocks.